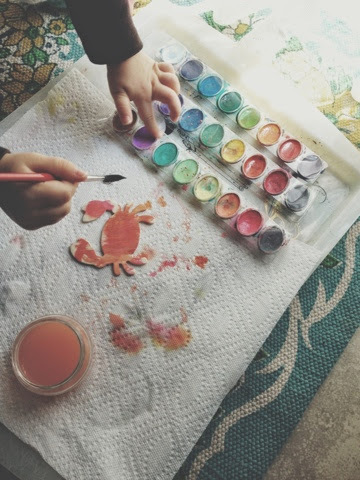 Lately one of little A's favorite things to do is to paint with watercolors. 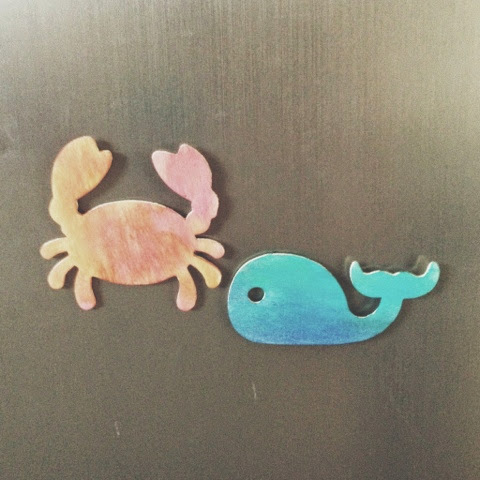 I found the cutest little wooden shapes at Michaels for $0.29 each and they take watercolors quite well :) I love this craft because it can be displayed without taking up a ton of space and it also serves a purpose on the fridge. *NEVER leave a toddler alone with magnets, the magnets are meant to be glued on with adult supervision only. 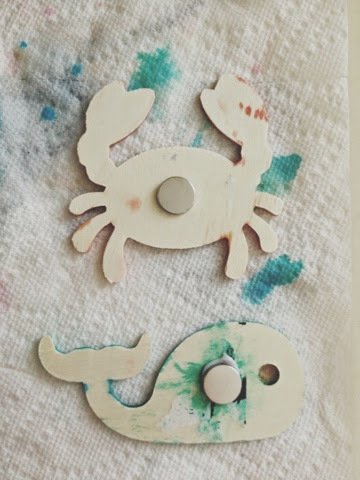 1.Have your child paint the wooden shapes with the watercolors...if you have a younger child you may need to help them fill in all the bare spots. 2. 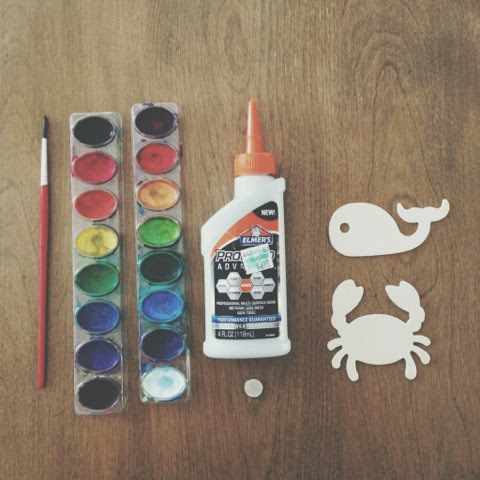 Allow watercolors to dry for a couple hours. Add a dollop of glue to the center of the back of the shapes, place magnet on to and allow to set for 24-48 hours.